The story of Detroit, Michigan is not for the faint of heart. What was once a bustling hub and a symbol of high-quality American manufacturing has seen one of the most rapid municipal declines in history. The collapse of the auto industry in the USA has rendered the “Motor City” a decaying shell of its former self. A city that showed so much promise in American culture now resembles a bleak setting in a post-apocalyptic world. However, in recent years, local street artists have made it a point to breathe new life into the city and work to restore its former beauty. 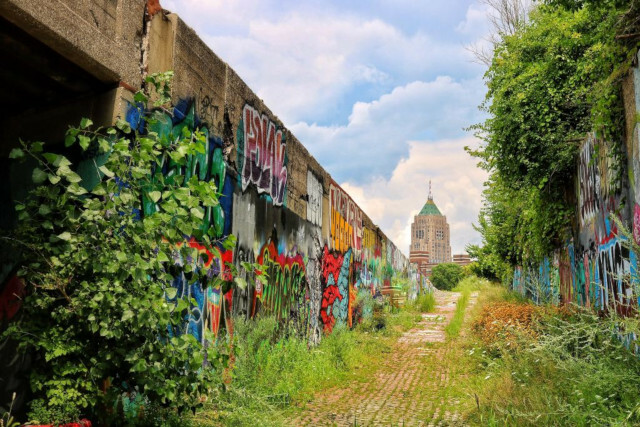 If you have a fascination with abandoned things and captivating street art, Detroit is a city that will keep you entertained throughout your entire stay. If you have been on any kind of social media lately, then you have no doubt seen how hot street art is currently. Miami, L.A., and Berlin are known for their creative and unique street art. Detroit, however, that is deserving of the same recognition. 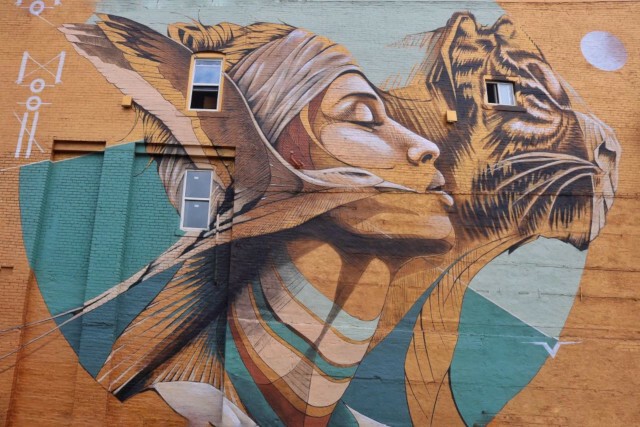 Detroit is home to dozens of street art murals of all kinds. You will find beautiful watercolors, flower motifs, political statements, even technicolor cartoon monsters, and so much more! Detroit is a city with a rich history, that has struggled the last half-century. Political corruption, race riots, bankruptcy, and rampant crime have plagued this beautiful city since the 1960s. However, in the last 5 years Detroit has started its comeback. Crime, residency, economics, and business statistics have all improved since 2013. 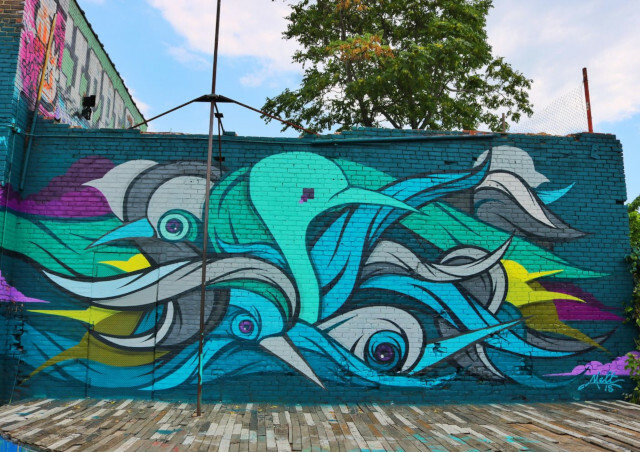 The vibrant street art scene is just evidence of the blossoming hope and optimism that is currently defining Detroit. 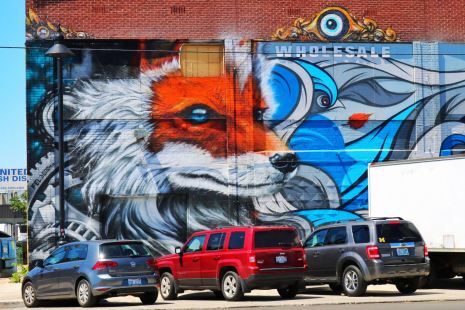 There are dozens of street artworks throughout the city, however, the most concentrated area of murals is located at Eastern Market, an open-air marketplace in the city. 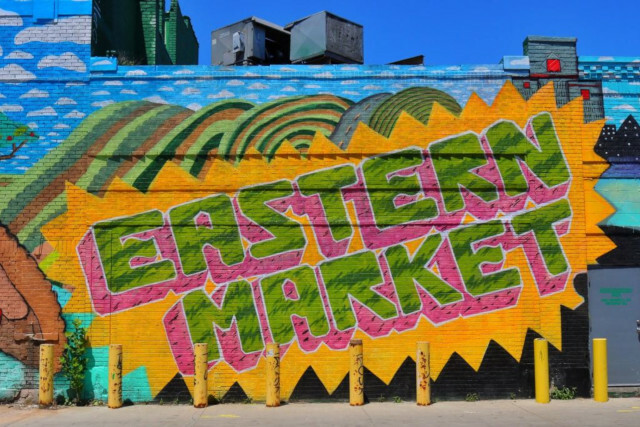 Eastern Market is home for local plants and flowers, traditional farmer’s markets, fresh produce, artisan goods, live music, and so much more -all depending on the day of the week. Around every corner, and adorning almost every flat sided building are dozens of murals by various street artists, some world-renowned, some local and relatively unknown. 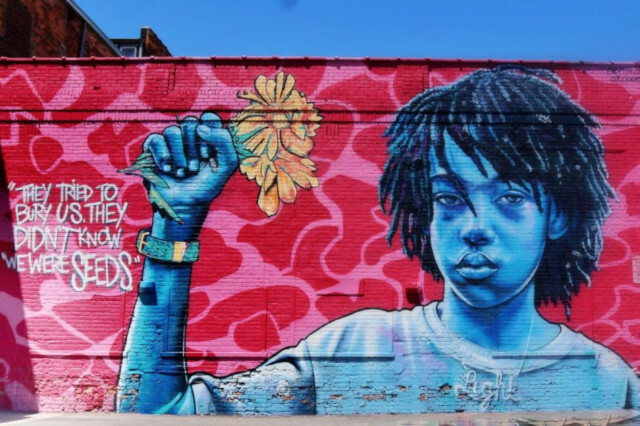 My personal favorite is Louise Chen, aka Ouizi, with her vibrant and beautiful floral murals in Detroit. Each year, Detroit celebrates its street art community with a festival called Murals in the Market. 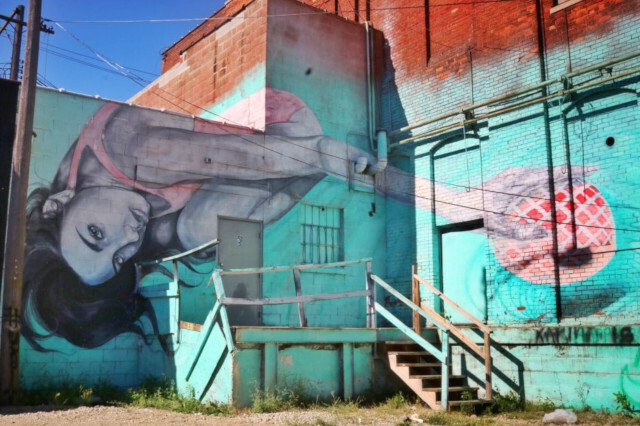 The festival holds street art tours to educate the community about the murals and artists. The festival also commissions artists to create new murals each year in this area. The happy and creative atmosphere is further celebrated with various events, including a block party, meet and greet with the artists over cocktails, and panel discussions. The Murals in the Market festival also holds a bonfire one night at Lincoln Street Art Park, a small open area dedicated to art installations. What is special and unique to street art is that it is by nature, public. That means anyone, of any background, may observe and appreciate street art. Nowhere is this more important than in Detroit. 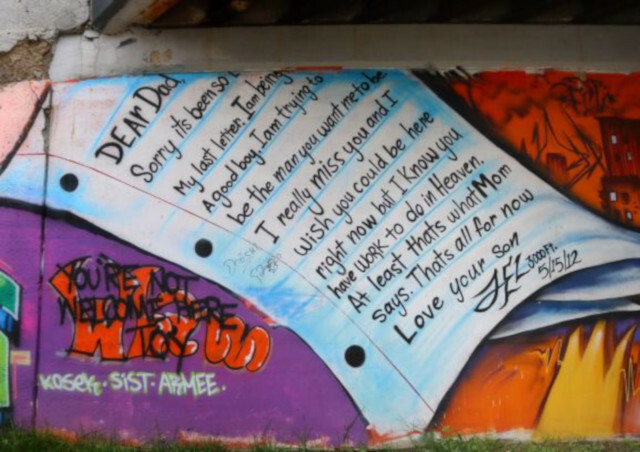 With a history of economic and social inequality, public art has a way of leveling the field. It is not reserved for the privileged or the elite, it is available to all. 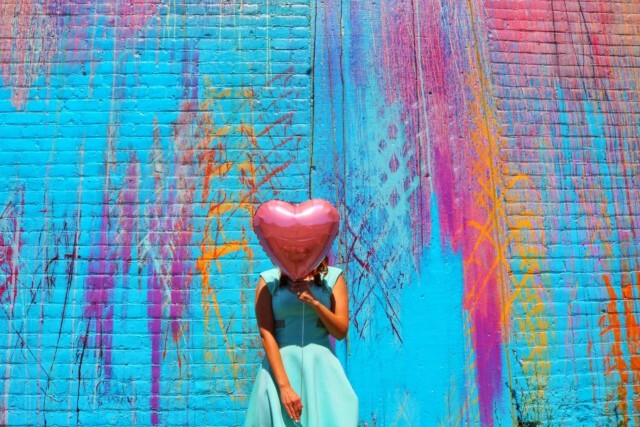 Unlike fine art, sitting protected in museums, street art is open to the elements. The work will be weathered and eroded by mother nature over time; similar to the people of Detroit, who have been made even more beautiful and valuable by their hardships. In a city that seems to have been forgotten by the ruthless hands of history and time, comes a chance for revival. The rebirth of Detroit will require a long, devoted effort. 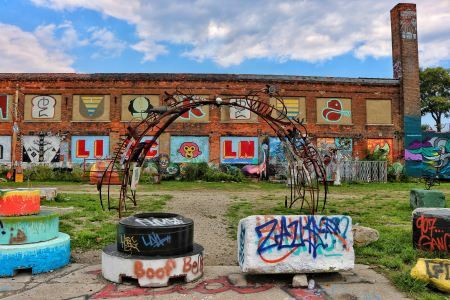 The local street artists are doing amazing things to show all those who visit that the city’s decline has not dampened the spirits of those who call Detroit home. 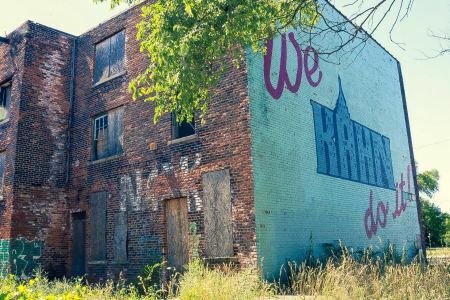 As a place that played such a pivotal role in the establishment of American values and commitment to the finest quality, the heart of the “Motor City” must be preserved and represent a mindset of hope.